The film brigade was in full attendance too, lending the event its glamour as both the bride and groom Visaghan Vanangamudi . 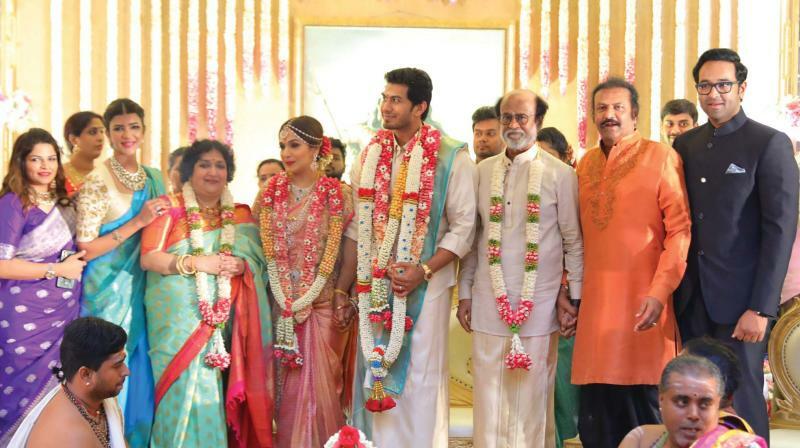 The who’s who of Chennai turned up at a luxury hotel on Monday morning for Soundarya’s wedding. As the daughter of the Superstar of the city, she was the prime attraction at the well-attended event that saw film stars and netas in near equal numbers. The bride and groom were resplendent in their traditional dresses for the Hindu ceremony after which a reception was held at which the city’s most prominent people turned up. 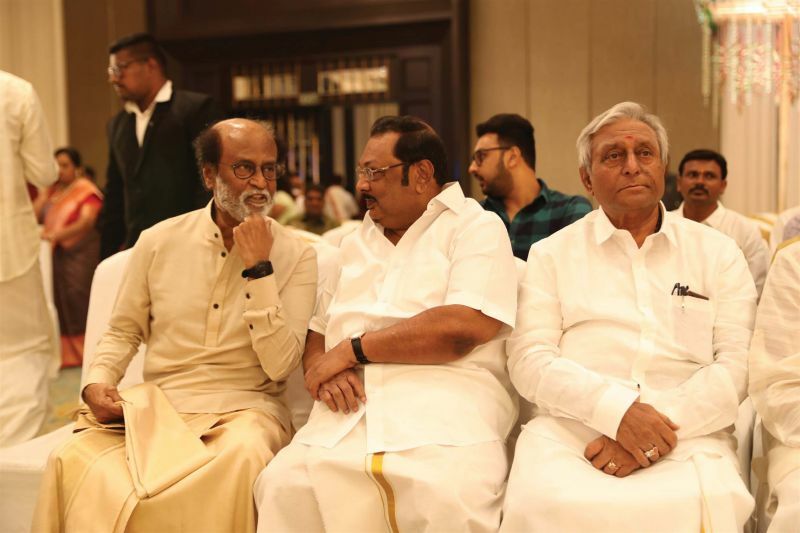 Rajinikanth’s interest in politics may not have solidified to the extent people may have been led to believe after the Superstar announced his intent last year. But he has such a dominant presence as a respected and adored personality that his daughter’s wedding was bound to be a gala affair. The chief minister Edapaddi Palaniswami and his deputy O Panneerselvam led a cream of political personalities at the wedding. Kadambur Raju, Vaiko, Subbirami Reddy and Alagiri were also spotted. 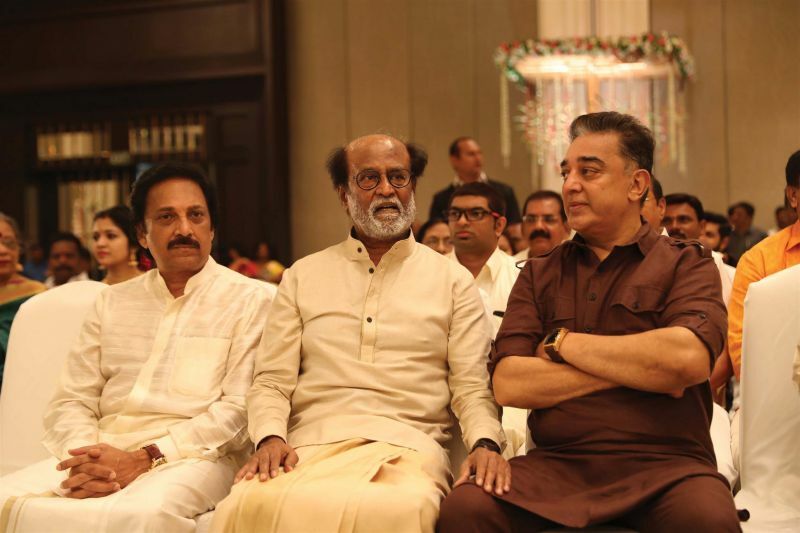 Kamal Haasan, a long-time buddy of Rajinikanth and fellow matinee star who is now a politician was prominent. The film brigade was in full attendance too, lending the event its glamour as both the bride and groom Visaghan Vanangamudi have links with the industry with Soundarya being a director and Visaghan having produced and acted in films. 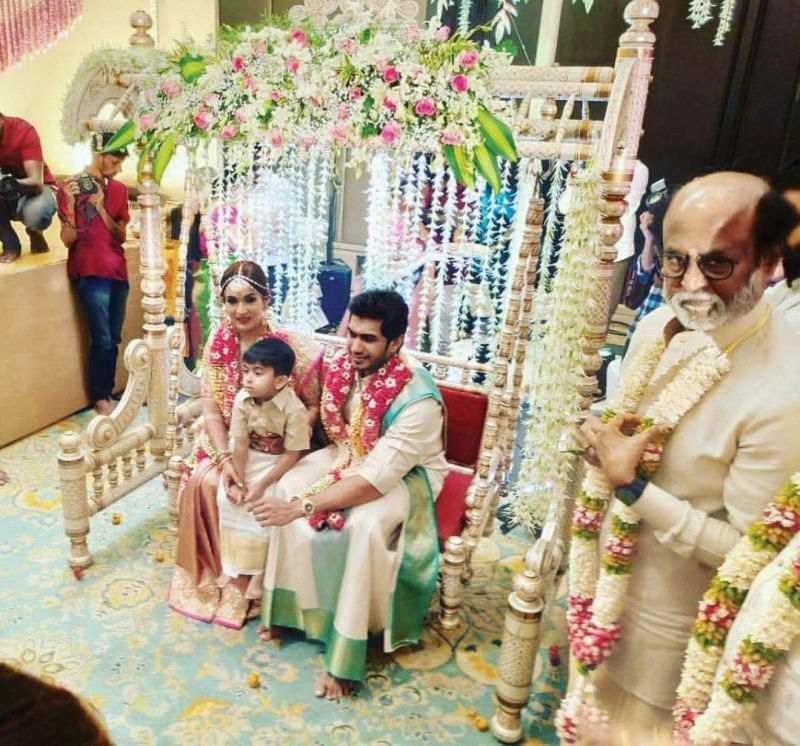 Mohan Babu, Vishnu Manchu, Lakshmi Manchu, Aditi Rao Hydari, Andrea Jeremiah, Ramkumar, Prabhu, Vikram Prabhu, Mani Ratnam and Suhasini, Anirudh, AVM Saravanan, and Manjima Mohan from the world of cinema graced the occasion to wish the couple. Actor Dhanush, son-in-law of the Superstar who is married to his elder daughter Aishwarya, played the prefect host welcoming celebrities and high-profile cinema people and industrialists to the function.